16 Types of Camper #Infographic ~ Visualistan '+g+"
From backpackers and adventure junkies, to glampers and organisers. 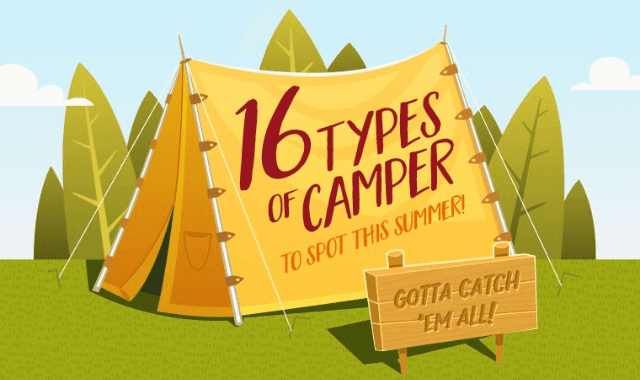 16 types of camper feature in this awesome infographic to share with your camping pals. Have a look!